These are very unusual novels. I don’t mean that in a bad way, but they’re not what one would typically expect. They’re really commentaries as much as they are novels. While they do have loose storylines, those stories are really only there for the sake of the discussions, in which the characters present Bob Emery’s theology. This is not necessarily bad. It allows Bob to present his theology in a much more conversational manner than he could in a “normal” commentary. Just don’t expect it to flow like a “normal” story would. As with any commentary, I found things I agreed with, and I found things I disagreed with. I learned some new things, and I read a lot of things I already knew. I won’t take the space to dissect all that in detail here, but I did enjoy and profit from the book as a whole. 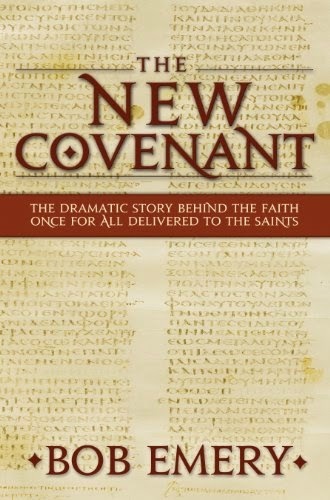 Pick up a copy of The New Covenant for yourself as a paperback or a Kindle eBook.